2019 F150 4 X 4 SUPERCREW-145, 502A EQUIPMENT GROUP PACKAGE, 2.7L ECOBOOST ENGINE, ABYSS GREY, BLACK LEATHER TRIMMED BUCKET, LARIAT SERIES, BLIND SPOT INFO SYSTEM, LED SIDE-MIRROR SPOT LIGHTS, B&O SOUND SYSTEM, VOICE-ACTIVATED NAVIGATION, 2ND ROW HEATED SEATS, HEATED STEERING WHEEL, ELECTRONIC 10-SPEED AUTO, 275/55R-20 BSW ALL-TERRAIN, 3.55 ELECTRONIC LOCK RR AXLE, 6600# GVWR PACKAGE, POWER DEPLOYABLE RUNNING BOARDS, TWIN PANEL MOONROOF, ADAPTIVE CRUISE CONTROL WITH STOP&GO, TRAILER TOW PACKAGE, TAILGATE STEP, 20" 6-SPOKE PAINTED ALUM WHEEL, 136 LITRE/ 36 GALLON FUEL TANK, INTEGRATED TRAILER BRAKE CONTROL, TECHNOLOGY PACKAGE, 360 SPLIT-VIEW DISPLAY, LARIAT SPORT PACKAGE, LEATHER BUCKET SEATS WITH CONSOLE. Available accessories for the 2019 F-150 4WD SUPERCREW, 145, 502A, 2.7 ECOBOOST, NAV, TRAILER TOW. 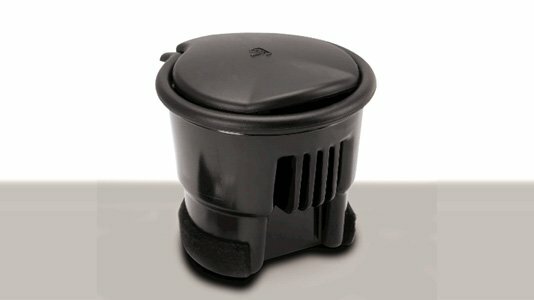 Designed to fit in cupholders, the available ash cup/coin holder includes a lid to keep ashes or spare change in place. It's constructed of a durable thermoplastic and removes easily for cleaning. * *Dealer accessory prices do not include installation or painting, which may be required for particular items. See additional disclosures. Add an ash cup and a lighter to your vehicle. The available ash cup/coin holder is designed to fit in the cup holders and includes a lid to keep ashes or spare change in place. It's constructed of a durable thermoplastic and removes easily for cleaning. * *Dealer accessory prices do not include installation or painting, which may be required for particular items. See additional disclosures. 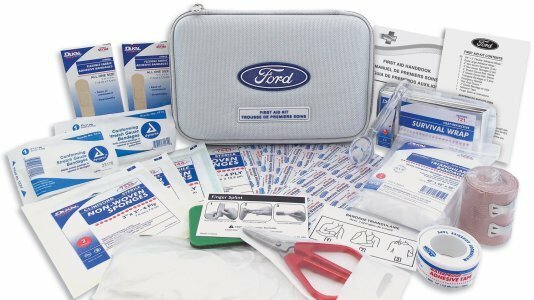 Put a first-aid kit in your vehicle today and be prepared for nearly any situation. 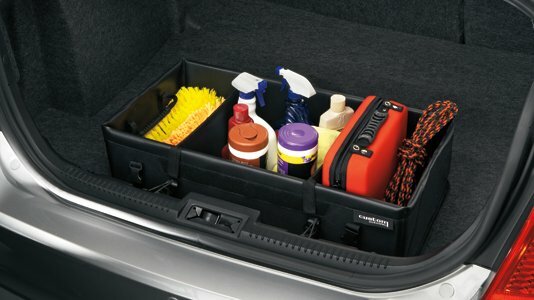 The available kit keeps your supplies in a fire-retardant, compact case that’s the perfect fit for nearly any vehicle. There’s even enough room for you to add your favorite topical antiseptic cream or analgesic. * *This is a Ford Licensed Accessory. See dealer for limited-warranty information and other product details. Dealer accessory prices do not include installation or painting, which may be required for particular items. See additional disclosures. 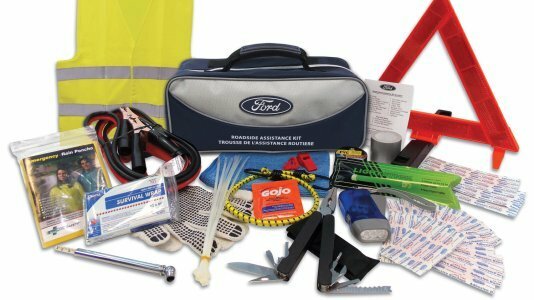 Put a roadside assistance kit in your vehicle today and be prepared for nearly any situation. The available kit is designed to help get you back on the road faster and includes a variety of things to help keep you prepared. * *This is a Ford Licensed Accessory. See dealer for limited-warranty information and other product details. 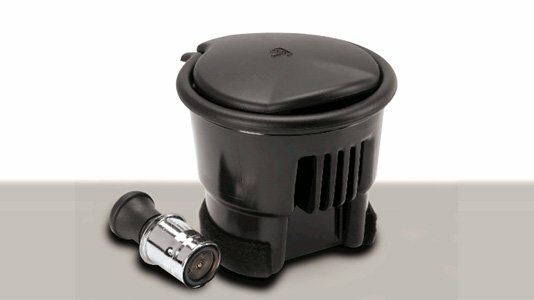 Dealer accessory prices do not include installation or painting, which may be required for particular items. See additional disclosures. The available handy, premium-grade, woven polyester, soft-sided large folding cargo organizer is laminated for water repellency and mildew resistance. Unfold it to open four sturdy compartments and a rigid bottom help keep items in place. Cleans easily and stores flat, if desired. * *Dealer accessory prices do not include installation or painting, which may be required for particular items. See additional disclosures. This available premium-grade, woven-polyester, black cargo organizer is laminated for water repellency and mildew resistance. Pop it open to three sturdy compartments, with a rigid bottom to help keep your items in place, minimizing topples and spills. Cleans easily and can store flat. * *Dealer accessory prices do not include installation or painting, which may be required for particular items. See additional disclosures. 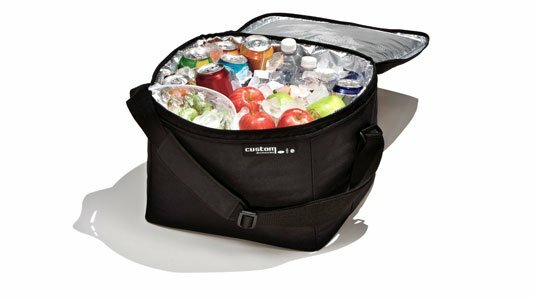 The available, flexible soft-sided cooler bag is the ideal companion for getaways – or for any time you go to the store – helps keep refrigerated foods and beverages cool, and heated items warm. It comes with a zippered top and an adjustable carrying strap, and it’s lightweight, collapsible and easily cleaned. 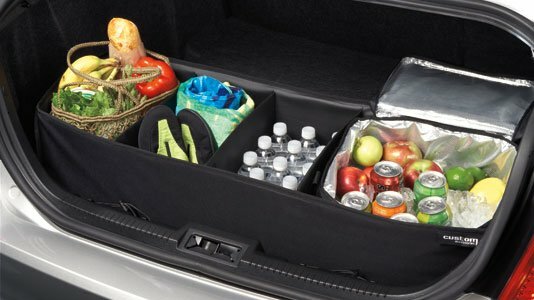 The cooler bag is designed to fit into a compartment of the large soft-sided cargo organizer. * *Dealer accessory prices do not include installation or painting, which may be required for particular items. See additional disclosures.